The trails of the Sunshine Coast offer a wide array of experiences for travellers of all levels and walks of life. Ranging in length, difficulty, and medium of experience (by foot, bike, kayak…) the Coast’s trails are the epitome of the pristine beauty and epic landscapes of British Columbia. Join the adventure and share your photos with us on Facebook, Instagram, Twitter, or Youtube using #sunshinecoastbc. Happy trails! Dakota Ridge is the winter gem of the Sunshine Coast. 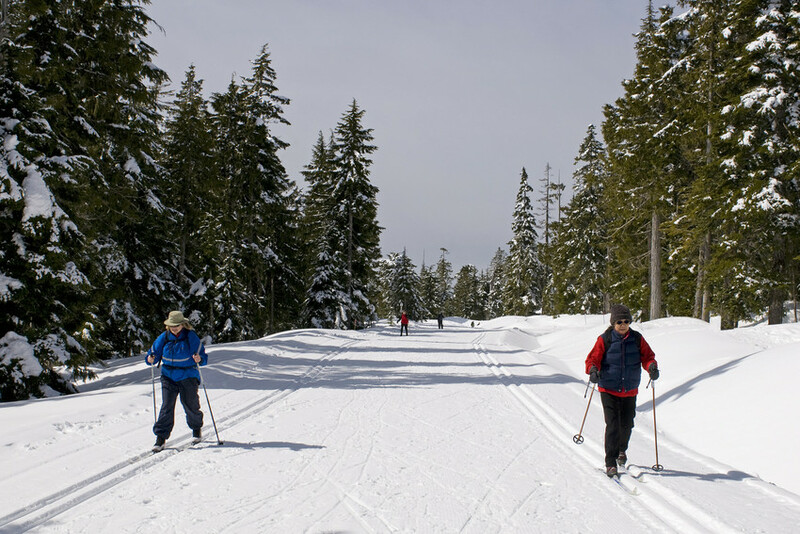 This winter recreation area sits 15 km above Wilson Creek (Sechelt) and offers world-class cross-country skiing and snowshoeing for all types of adventurers. 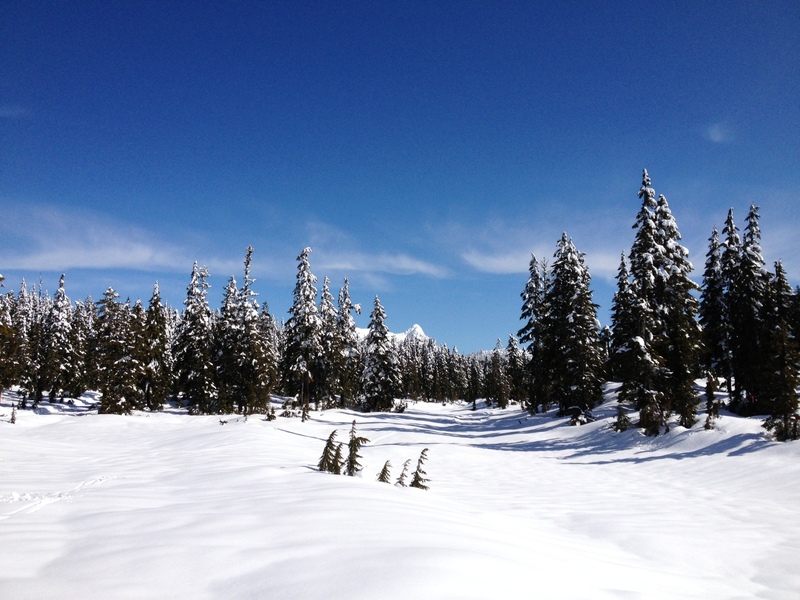 In early 2014, the new Blueberry Cross-Country Ski trail was added to the network at Dakota Ridge. The Blueberry Trail offers skiers incredible views and access to some spectacular terrain on Dakota Ridge. On clear days skiers will easily see great vistas of Panther Peak and other alpine peaks. A key aspect to this trail is that it offers skiers a new longer distance loop at Dakota Ridge. When combined with the Squamish and Hemlock trails this now offers a 10 km longer loop. From the warming hut the trail can be skied in either direction- however we find that a counter clockwise loop works very well. Take the Squamish loop to the East and then link onto the Hemlock loop. Follow signage to access the Blueberry Trail. As you follow it you will have a few options to shorten the route – or follow its entire length for a great ski combined with great views back to the warming hut and washroom area. The trail descends as you get nearer to the hut, and you’ll find it exciting as the trail veers around some corners. Dakota Ridge offers amazing views of the Salish Sea, the North Shore Mountains and Mount Elphinstone. Rentals, lessons and guided tours for Dakota Ridge (ski and snowshoe) are offered by Alpha Adventures- conveniently located right at the base of the road in Wilson Creek. Transportation via self-guided tours is also available. Information courtesy of Alpha Adventures. Dakota Ridge is located at the end of Field Road in Wilson Creek on the Sunshine Coast. The main parking lot is located at the trailhead, 14 kilometres up the forest service road. The access road is plowed on a regular basis. However, winter conditions should be expected on the road. Due to the nature of the road, access is restricted to four-wheel drive vehicles with chains. All terrain vehicles are not permitted in Dakota Ridge. Directions to Dakota Ridge FROM GIBSONS. Directions to Dakota Ridge FROM SECHELT.